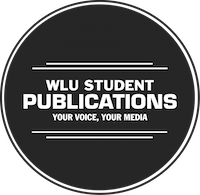 The Wingspan is an information guide that provides students at Laurier with useful information about the organizations and opportunities available across campus. The Wingspan is integrated into The WLU’er student planner with its own highly visible section, as an internal directory. This will be placed in the residence move- in packages as well as distributed across the campus at several prominent locations. The deadline for this year’s Wingspan has passed. If you are interested in being included in next year’s Wingspan, contact care.lucas@wlusp.com.